Sydney, Australia is a world recognized city with lots of things to do. Before embarking on this new adventure, I had my share of feelings of doubts and nervousness. Of course I was beyond excited to explore the other side of the world. There was so much to look forward to. I could not wait to scuba the Great Barrier Reef, feed kangaroos, and learn how to surf. However, I could not help but think “what if I don’t make friends,” “what if I miss home or my friends too much,” and “what if I don’t like it there.” It helped to look on the positive side of everything. I needed to remind myself why I chose to study abroad in the first place. The picture I sent to my mom in the airport after reading my fortune. This really helped eliminate my feelings of uncertainty. As soon as I read this, I had to send a picture to my mom to tell her what I just read. 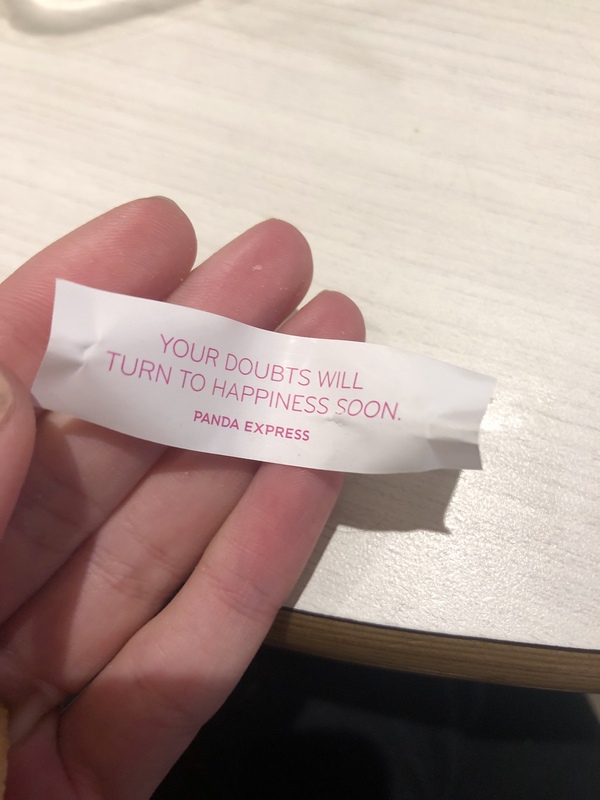 I truly believe that me reading this fortune was not a coincidence, and for the short time I have been here, it has proven to be true. My time spent here so far has been my happiest. I have met tons of new people and continue to see and do things I have never thought I would get to do. I can’t wait to see what the rest of my time here has in store.